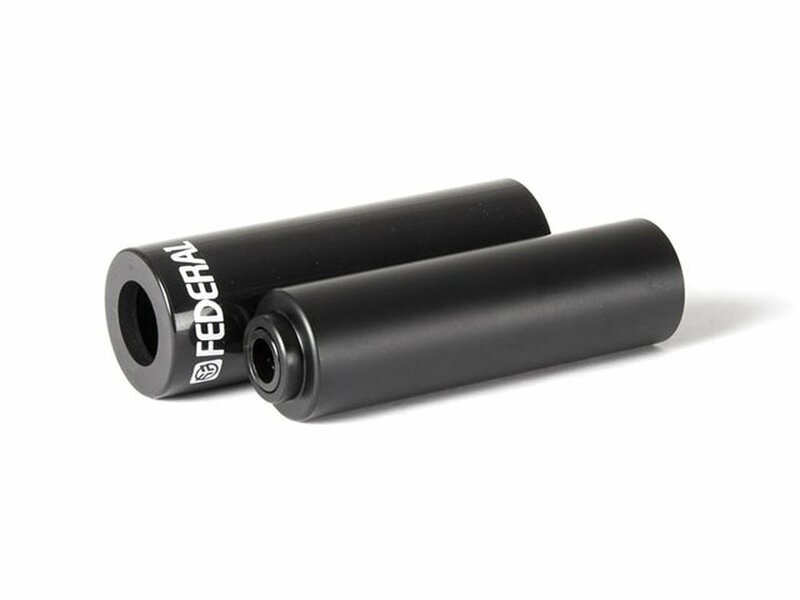 The Federal Bikes "Plastic Alloy" Peg - 4.15" (Length) is the combination of a light weight, CNC machined 6061 aluminium peg and a additionally plugged nylon/fiberglass sleeve which offers while grinding less noise and better slipping on coal and steel surfaces and still is quite durable. 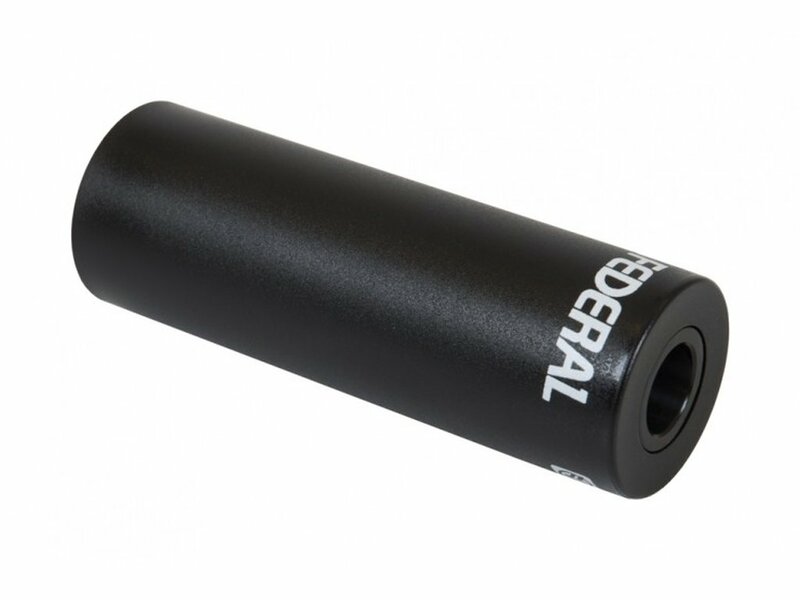 If the nylon/fiberglass sleeve of the Federal Bikes "Plastic Alloy" Peg - 4.15" (Length) is worn down you can replace it with a new Federal Bikes "Plastic" Peg Sleeve. 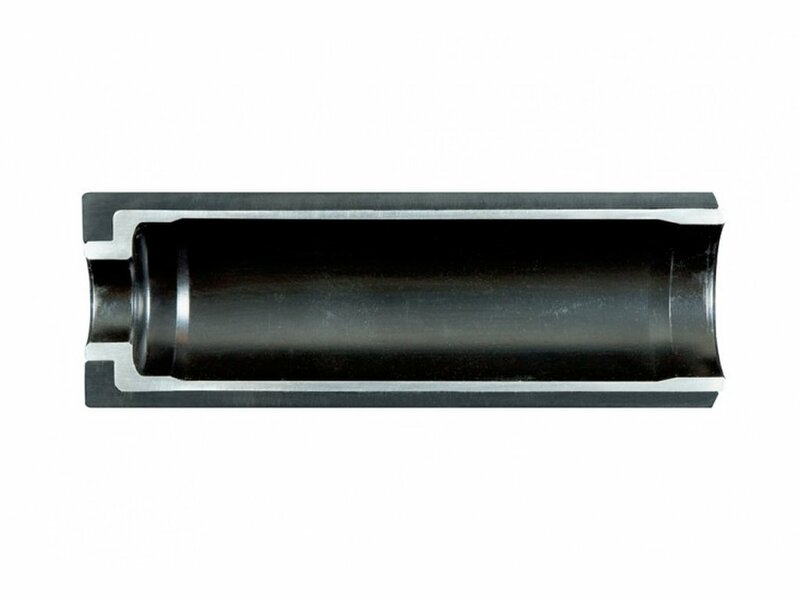 This Peg combination is great for park riding.